Stick a fork in it: Clichés are words or expressions that have been used, said, written so often that they’ve lost their meaning. 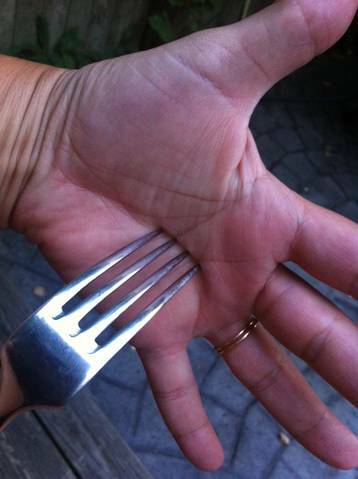 Next time you write a cliché, you get the fork. If something makes you want to roll your eyes (or gag) when you hear it, it’s a cliché. Think about all the corporate-speak you’re subjected to the next time you sit in a meeting (or listen to a politician or corporate titan speak to the media) and you’ll notice that clichés are everywhere. It’s lazy and boring to use clichés, so please: don’t do it—unless you want to look lazy and boring! CAUTION: Here are some (lazy and boring) words and expressions that the business world overuses. Your customers will tune you out if you use them, so don’t. What did I miss? There are millions of these, but you get the idea. Once you’re aware, you’ll have a hard time sitting through your next meeting with a straight face. 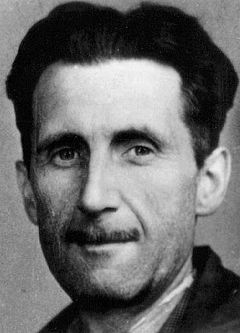 The brilliant British author George Orwell started the anti-cliché revolution in 1946. Thanks for the advice…I am afraid to write more least I err. Which side is the fork on? I think we should circle back with more synergy in a win-win situation using more bandwidth to take the corporate veil off this problematic situation and utilize a cascade of value added, 24/7, apple to oranges, situations so we do not have to reinvent the wheel. Let’s touch base. eek! It sounds like you’re a bit under the weather…maybe you’ve been working like a dog and the sweet smell of success has gone to your head? Ewww – no body says that! Tina! oh yes they do — and more. You mean “Let’s do lunch,” don’t you? And feel free to use the phrase “paradigm shift” whenever you are writing about the Copernican Revolution, or the Theory of Special Relativity displacing Newton’s absolute time and absolute space. In all other instances please don’t.